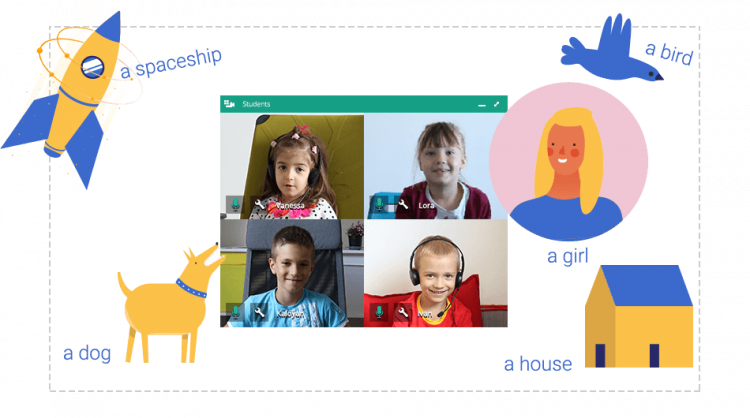 This article addresses the topic of foreign language tutoring in a virtual classroom – for example, how to teach English online. You will find some insights into the management of classroom resources and various learning tools for students. Beginners, as well as intermediate and advanced students, are often confronted with the unexplainable rules of a foreign language. This can be found even in languages from the same family. For example, there are words that sound the same but have different meanings. In less closely linked languages, unexplainable rules often begin with pronunciation, continue on through grammar, and usually end in vocabulary and prepositions. When you teach English online (or other foreign languages) it is likely that you will come across a class where the students have a difficult time understanding the explanations provided for a specific topic. When this happens, online teaching provides some welcome solutions to meet a teacher’s needs. The resources you will find in the virtual classroom prove to be very helpful in these cases. Let’s take a deeper look at the above-mentioned problems. Pronunciation may be one of the most difficult items to learn and integrate into a foreign language. As easy and straightforward as it is for some, for others it takes hours of repetition. Nowadays there are tons of online resources on pronunciation. Nevertheless, a teacher’s help is still much needed. Tutors can assess a student’s progress and adjust how they teach English online to meet a student’s specific needs. Students can use all kinds of resources at home, but there should be someone who tells them if the result is satisfactory or not. Once students start to achieve better results, they will feel more motivated to study the language. In a traditional classroom the teacher can play some CDs and/or sound files and have the students reply after the pre-recorded phrases. Virtual classroom software assures a much better sound quality , which allows the teacher to hear everything that is said and to focus on the students’ response. There is a big difference in hearing the way students pronounce words in an online vs. a conventional classroom. 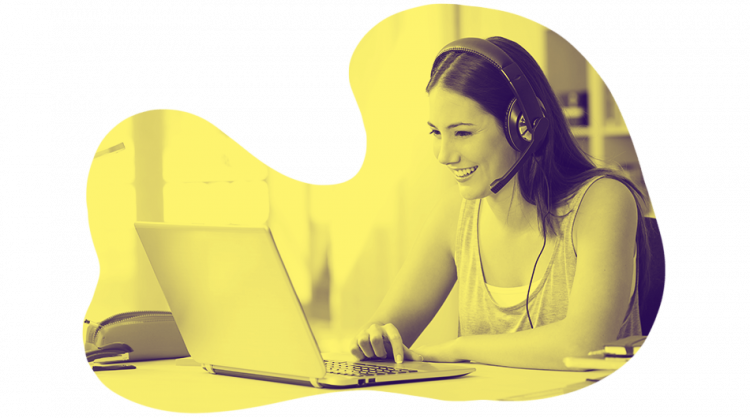 The use of a microphone and speakers allows for much better sound quality when you teach English online. And we shouldn’t forget that many students are shy at first! They might feel uncomfortable when trying to pronounce strange foreign words in front of their classmates in the traditional classroom. Finally, students can record themselves, which makes for some new teaching and learning material. How to explain grammar when you teach English online? I believe that many foreign language teachers have come up with their own explanations of bizarre grammar rules that they have come across in their work. I admire the effort that lies behind every table, diagram, and infographic drawn on the chalk board. And I find erasing it a real pity. The connections between the different parts of the demonstrated rule are not always remembered the same way by everyone. Sometimes when a teacher wants to remind students of the same rule in the next class, there may not be enough time to redraw it. Resources should be available at all times so that they can be used and reused when you teach English online. The classroom management system available in the e-learning platforms is a tool that perfectly meets the teacher’s needs. Tutors can always find and have access to everything that they prepared beforehand. It stays just a click away ready for the next class. Classroom resources can be easily shared with students when you teach English online in a virtual learning environment. Every file that a teacher creates can be used for future reference. In this way students can compile a real textbook for the course. In order to achieve steady progress, it is important that the students are confident that they haven’t missed out on anything. Students will always have something on hand to look at. They will be confident they have a certain level of knowledge and competence in English (or other foreign languages). Self-evaluation is a cornerstone of modern foreign language teaching and studying. A student should have an image of their learning process and know what they have covered. The shared files make this a lot easier. Teaching vocabulary is relatively easy, especially for beginners who share the same mother tongue. Many tutors refer to the traditional method of translating words when they teach English online. However, in a growing multicultural environment, and, moreover, in e-learning, students are unlikely to share the same origins and/or mother tongue. At this point the teacher needs to refer to more widely shared knowledge in order to translate the idea. This is easily achieved through images. Foreign language tutors (for example, those who teach English online) often have handouts with words linked to images so that the students don’t rely on translation. Although these can be printed out as posters and used in a physical classroom, they have many disadvantages. For instance, it might be difficult to adapt them to a new class. In an e-learning environment any poster or handout provided for students is a lot more effective because it can be easily adapted, updated, or renewed. It is then stored and can be made available with the click of the mouse for the next class. 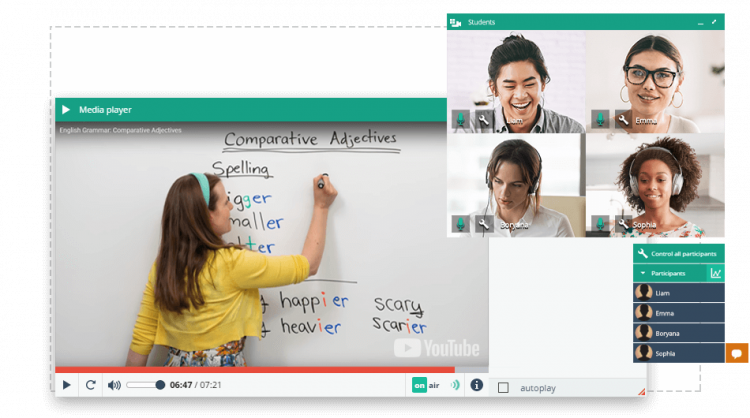 When teaching English online, presenting vocabulary lessons to advanced classes, or for specific audiences and subjects can be even trickier. Advanced classes often deal with abstract notions, phenomena, and processes. Not being able to translate this terminology leaves the teacher with two choices: either to provide a very detailed oral and/or written explanation, or to refer to a video, interview, or 3D design so that the students can grasp the idea. Again, in a physical classroom resources can be available, but it is still the teacher who decides whether they will play the video once or twice, whether they will stop it at a certain point, etc. Sharing these resources with students is a precious step towards their autonomy in learning. Assigning the following task when you teach English online can be quite useful for both teachers and students: divide the students into groups and give each individual in the group a term that they need to explain in their mother tongue. Then ask them to prepare their own video explanation. Incorporate it in the lesson and add it to the virtual classroom’s resources. By participating in their own learning process, students feel much more empowered and motivated to continue with their online course. Nevertheless, this approach should be used sparingly in foreign language tutoring (for example, when you teach English online) so students do not feel like they are doing their teacher’s work.